Singer Marjorie Barnes couldn’t have asked for a better supporting outfit than Equinox. The American singer first came to The Netherlands in 1975 as a member of soul group The Fifth Dimension and subsequently, while performing as a jazz and Broadway performer around the globe to high acclaim, spent half a lifetime teaching at the conservatories of Hilversum and The Hague. On Brighter Shores, Barnes is supported by guitarist Dan Nicholas, tenor saxophonist Simon Rigter, pianist Bob Wijnen, bassist Steven Zwanink and drummer Marcel Serierse. The self-proclaimed keepers of the flame, products of the Dutch mainstream jazz city #1, The Hague, provide a resonant and occasionally very hardboppish canvas for the classy strokes of Barnes. For all Brighter Shores’ radio-friendly content, Barnes remains the antithesis of frumpy singing, a survivor-of-the-fittest that won’t shy away frow wailing, groaning or bending notes if a tune calls for streetwise sparks to be added to its smoothly operating flow. The album’s opening tune, a hard-swinging version of David Bowie’s Let’s Dance, is a case in point. Nicholas, guitarist, bandleader, arranger and lyricist, builds a sparkling, coherent story in the self-penned title track, Brighter Shores. It’s one of three original Nicholas tunes on the album. His arrangements are uplifting, hip, the driving horn sections of Let’s Dance, (the instrumental) E.V.’s Berlin Bounce and the excellent build-up from the kinetic bass intro to the down-home blues vibe of Abbey Lincoln’s Throw It Away being especially enticing. Simon Rigter’s tenor sax sound and the voice of Barnes are like brother and sister. Rodger & Hart’s Where Or When has Rigter snake-charming Barnes from a shopworn nightclub, the one where a corny thank-you-for-smoking-cardboard-sign hangs loosely on a nail behind the bar. Thankful and thoughtful feelings abound in Here’s To Life. Marjorie Barnes sings like someone who’s been determined to overcome hard times and cherish the good times, ‘has no complaints, no regrets, I still believe in chasing dreams and playing bets, I learned that all you give is all you get, so give it all you got, I’ve had my share, I drank my fill and even though I’m satisfied, I’m hungry still to see what’s down another road, beyond the hill and do it all over again…’. Come What May expresses similar emotions. Interestingly, before Allee Willis’ song became a hit by Patti LaBelle in 1979, Marjorie Barnes was scouted by Leon Ware to record the tune. Aptly, the lush arrangements of Dan Nicholas are a nod to the arranging job of songwriter and performer Leon Ware for Marvin Gaye’s I Want You, the added, sweet-tart interlude functioning as the icing on the soul-infused cake. 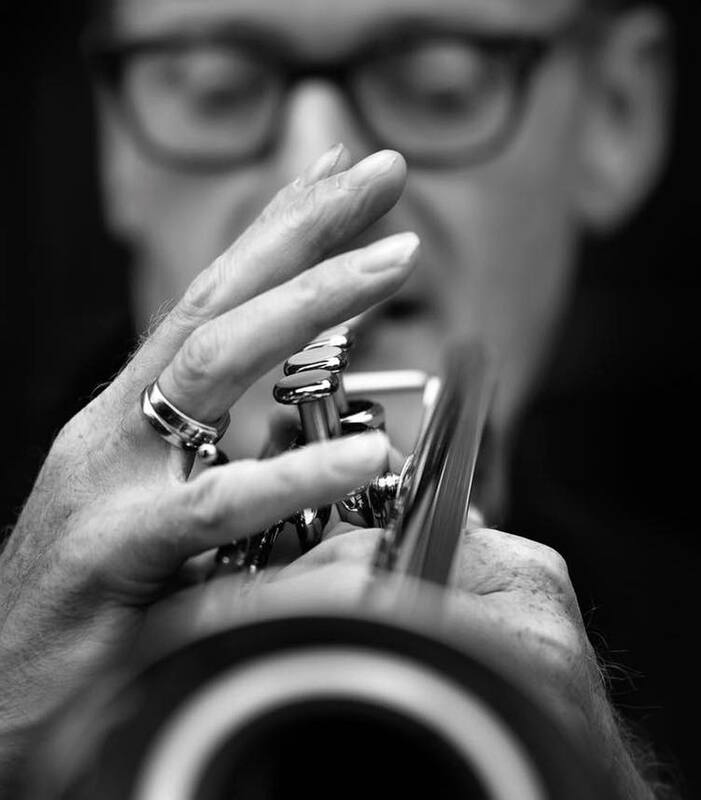 Come What May boasts a guest appearance from trumpeter Ruud Breuls, who puts his cushion-soft sound and melodic style to superb use and blends sweetly with Simon Rigter, his longtime hard bop companion, who appears on flute. So the inclusion of Breuls makes Equinox a sextet of outstanding compadres of the experienced leading lady, Marjornie Barnes. 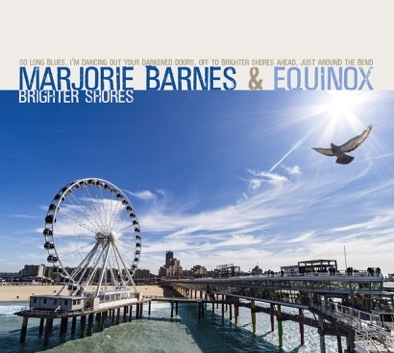 Find info of Marjorie Barnes and Equinox here. Listen to the album sampler here. The Equinox Jazz Production documentary Facing The Music about the motivations of Equinox Jazz Production and the singular The Hague scene will be screened at the Marriott in The Hague on February 2. Also that evening, the release of Brighter Shores will be celebrated. Watch the Preview here. Ruud Breuls (Urmond, 1962) is featured on more than 300 albums, both jazz and popular music. Since the early nineties, Breuls has been part of big bands such as the Dutch Jazz Orchestra, Metropole Orchestra, Cubop City Big Band and the Jazz Orchestra Of The Concertgebouw. He currently is a member of the WDR Big Band. Breuls has also been active in long-term, small ensembles such as Buddies In Soul and Major League. The trumpeter performed and recorded with, among others, Kenny Barron, The Beets Brothers, Bob Brookmeyer, Billy Cobham, Michiel Borstlap, Ronnie Cuber, John Engels, Billy Hart, Jimmy Heath, Benjamin Herman, Bill Holman, Eric Ineke, Joe Lovano, Vince Mendoza, Michel Portal and Mike Stern. Breuls teaches at the Conservatory Of Amsterdam. In 2013, Breuls won the Laren Jazz Award. In the Spring of 2017, a Louis Armstrong project of Breuls and Simon Rigter will be released by Sound Liaison on CD and made available as high-resolution downloads. Photograph of Ruud Breuls above by Mattis Cederberg; on the homepage by Robert Roozenbeek Photography.